Summary: A new study reports immune cells called neutrophils may help the brain recover following intracerebral hemorrhage. Image Source: NeuroscienceNews.com image is credited to Aronowski lab, University of Texas Health Science Center, Houston. 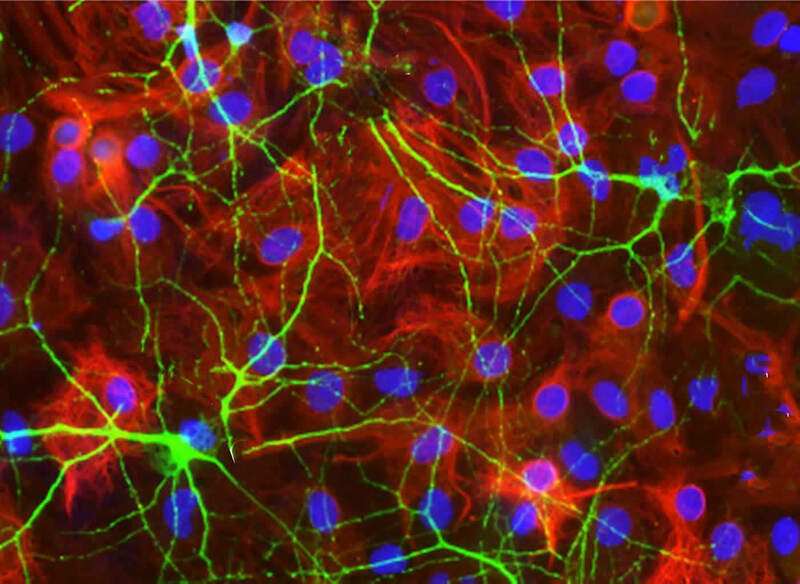 NIH/NINDS “Immune Cells May Heal Bleeding Brain After Strokes.” NeuroscienceNews. NeuroscienceNews, 20 September 2017. Shortly after intracerebral hemorrhage, neutrophils infiltrate the intracerebral hemorrhage-injured brain. Once within the brain, neutrophils degranulate, releasing destructive molecules that may exacerbate brain damage. However, neutrophils also release beneficial molecules, including iron-scavenging lactoferrin that may limit hematoma/iron-mediated brain injury after intracerebral hemorrhage. Here, we show that the immunoregulatory cytokine interleukin-27 is upregulated centrally and peripherally after intracerebral hemorrhage. Data from rodent models indicate that interleukin-27 modifies neutrophil maturation in the bone marrow, suppressing their production of pro-inflammatory/cytotoxic products while increasing their production of beneficial iron-scavenging molecules, including lactoferrin. Finally, interleukin-27 or lactoferrin administration results in reduced edema, enhanced hematoma clearance, and improved neurological outcomes in an animal model of intracerebral hemorrhage. These results suggest that interleukin-27/lactoferrin-mediated modulations of neutrophil function may represent a therapeutically viable concept for the modification of neutrophils toward a “beneficial” phenotype for the treatment of intracerebral hemorrhage.